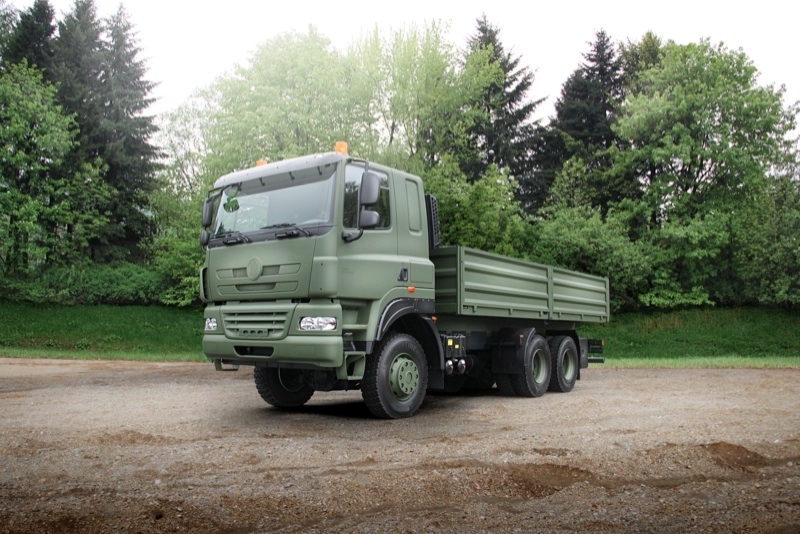 Starting this year, a new heavy truck line TATRA PHOENIX extends the special sector range of the Kopřivnice-based TATRA, a. s. The high mobility heavy duty defense truck program thus has at its disposal a state-of-the-art, competitive and at the same time highly efficient solution. The chassis designed for installation of various superstructures with the designation T 158-8P5R33 391 6x6.2 in typical olive finish is a so-called commercial off-the-shelf (COTS) product. These are vehicles with minimal modifications vis-à-vis the stock version, suitable for operation in demanding off-road conditions. The original, continuously updated TATRA chassis complemented with a DAF CF 85 cab, PACCAR MX engines (265 – 375 kW) and ZF manual or automated transmission undoubtedly points to the start of a new era for the TATRA brand, its customers, business partners and supporters. The TATRA PHOENIX vehicles are fitted with pneumatic suspension on all axles as standard. It is the very same system used in the special vehicles of the TATRA 815-7 line. Therefore, the same driving comfort is retained and driving properties are at a very similar level. 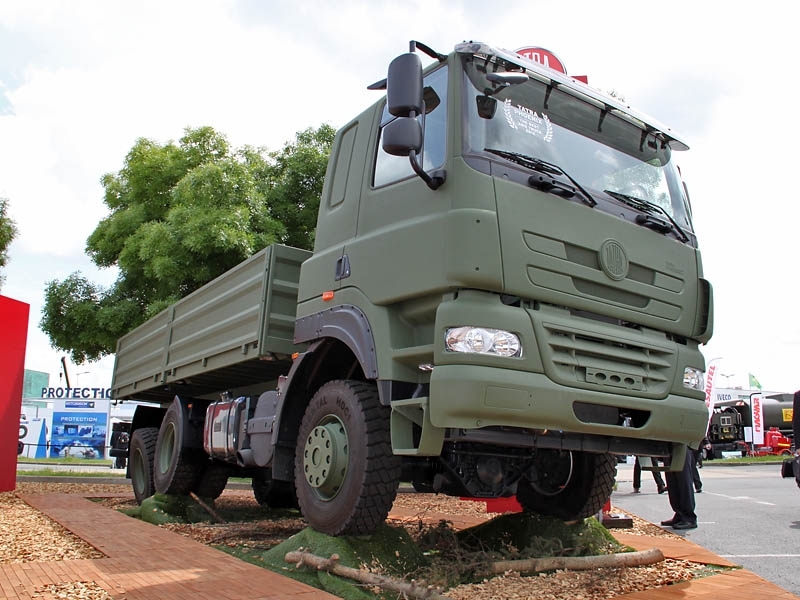 The new, supplementary line of heavy trucks designated for the defense and military segment represented by the TATRA PHOENIX vehicles is especially suited to use for military logistics, for operating in difficult and extremely difficult terrain but also at on-road as a really universal truck. TATRA PHOENIX took successfully part in the competition Truck of the Year 2012 and became the best all-wheel-drive truck for 2012. 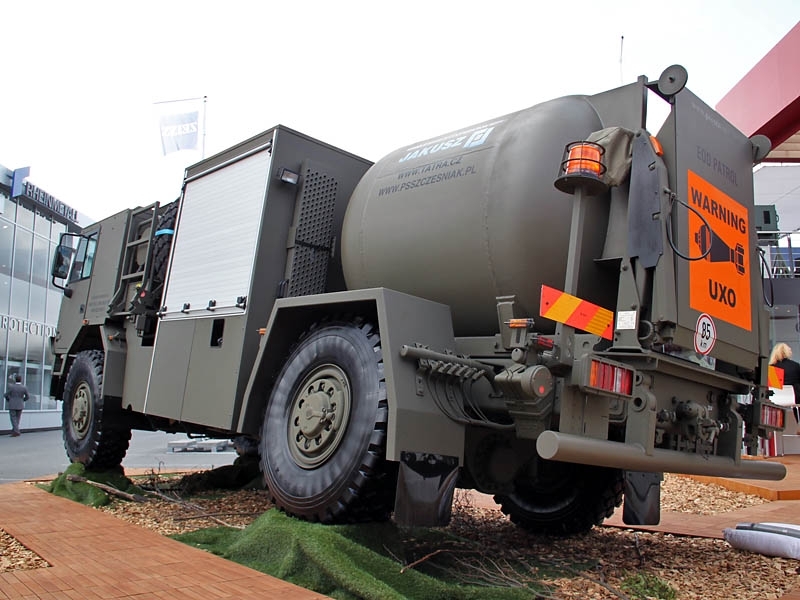 The basic product line of heavy duty trucks for special purposes that are placed in the armies all over the world is represented at EUROSATORY 2012 by the special tactical “seven series” line: TATRA 815-7, 4x4, the special unexploded explosives carrier developed together with Polish producer Pojazdy Specjalistyczne Zbigniew Szczęśniak, equipped with Cummins engine and Alison automatic transmission and by TATRA 815-7, 8x8, the universal container carrier equipped with TATRA air cooled engine and TATRA-NORGREN automated transmission that takes part in Live Demonstrations. The “seven series” line with possibility of transportation in C-130 Hercules is designed for use in extreme climates and terrain, on peace-keeping missions and for combat use in military conflicts throughout the world. The TATRA T-815-7 chassis is based on a tried-and-tested design using a rigid backbone tube with independently suspended swinging half-axles. Individual models in the new range share many integrating features, while the design allows for wide variation in engines and transmissions. TATRA 815-7 trucks can be fitted either with direct air-cooled TATRA engines or liquid-cooled engines made by Cummins, Caterpillar, Navistar and other manufacturers. There is the option of either manual or automatic transmission. Besides their use as personnel carriers, the T 815-7 series can also carry munitions, military electronics, radar systems and other sensitive materials, and the trucks can be fitted with special containers or box bodies thanks to the unique chassis concept minimizing the vibrations and twisting and bending of the superstructure. TATRA, a. s., the world’s leading specialty on/off-road vehicle manufacturers, was founded in Kopřivnice in 1850. The factory started manufacturing vehicles of high quality with exceptional construction as well as handling characteristics from 1898. TATRA vehicles are distinctive primarily for their unique chassis design, capacity to cope with the most demanding terrain and their reliability. They are thus ideal for use in the most difficult terrain and climatic conditions. 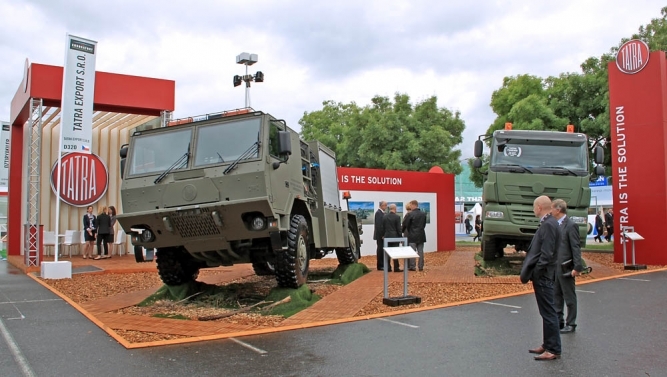 TATRA military production includes the ARMAX, FORCE, T815-7 and T810 product lines. 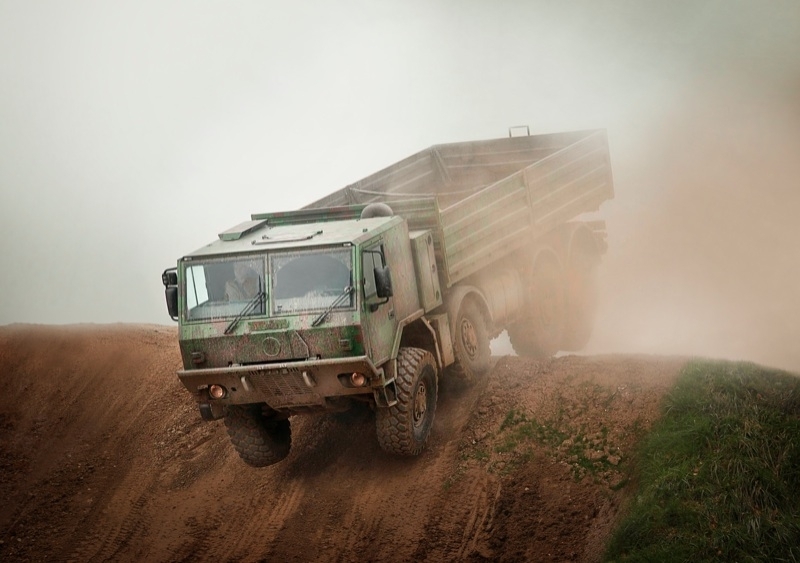 TATRA trucks are currently operated in both civilian and military fleets worldwide.